The Lincoln MKC’s best feature is easy to miss: unusually wide liftgate cutlines swing around either side of taillights that stretch from one corner to another, increasing the compact crossover’s perceived width. 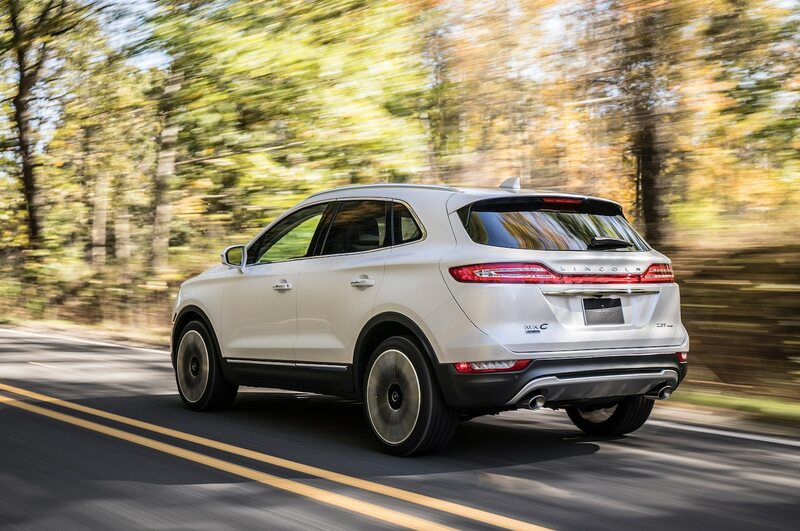 It’s a standout design detail, but the MKC needs more than a fancy Audi-esque liftgate to thrive in an entry-luxury segment that’s matured considerably since the Lincoln arrived for 2015. With the MKC fresh from a light update for 2019, we drove the crossover to determine how relevant Lincoln’s least expensive car remains. With Lincoln’s welcome-mat feature, the car’s front and rear lighting slowly illuminates to greet your approach while a projection of the automaker’s logo appears on the ground near the front and rear doors. 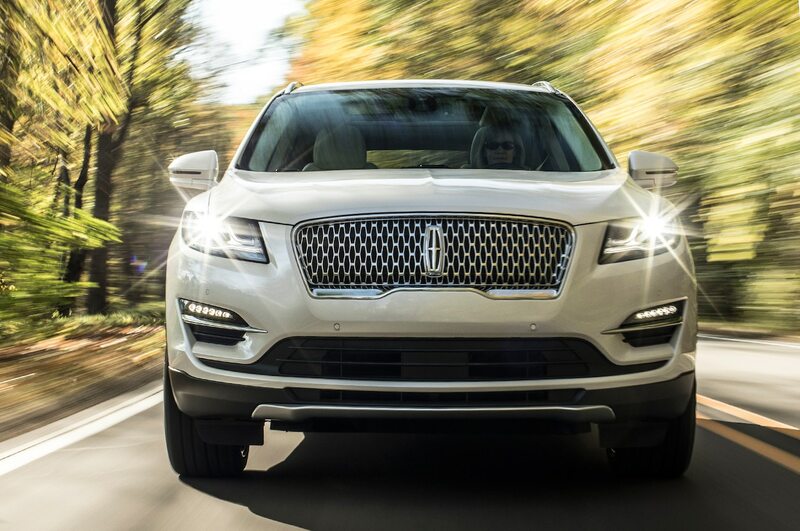 With conventional SUV looks, the Lincoln starts strong. If that sounds silly, consider the Mercedes-Benz GLA and Infiniti QX30, crossovers that resemble hatchbacks as much as SUVs. 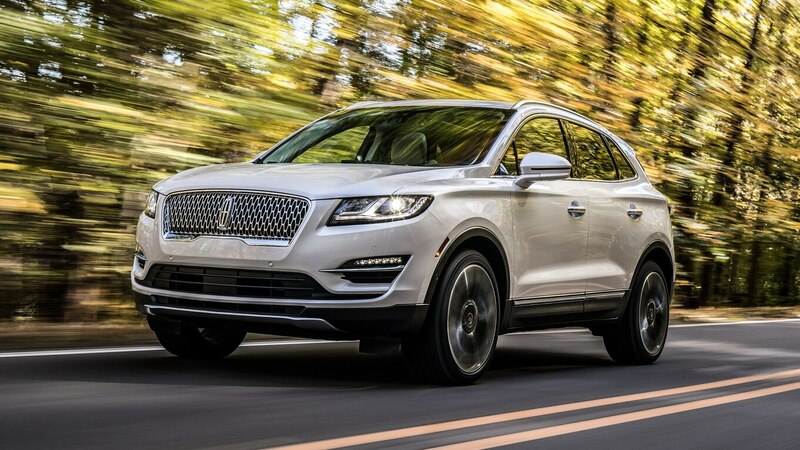 True, both of those luxury crossovers are smaller than the MKC, but the Lincoln’s pricing spans from an affordable $34,920 to more than $55,000 like our loaded Black Label tester, leaving room for many different luxury crossover options. If you tend to shop by price as much as size, the Ford Escape–based crossover’s prime competition includes the comparison-winning Volvo XC40, BMW X1, and that GLA—all of which carry starting prices just under $35,000. It’s a diverse group, yet we’ve tested all-wheel-drive versions of all three that outrun the MKC 2.0 while also delivering greater fuel efficiency. Hmm. Despite that curiosity, lead-footed drivers should still consider the front- or all-wheel-drive 245-hp 2.0-liter turbo-four base engine as much as the 285-hp 2.3-liter unit that requires all-wheel drive. Go for the latter option, and your $45,100 MKC 2.3 AWD’s respectable 6.5-second 0–60 time keeps up with the Infiniti QX50 and Acura RDX. Still, that comes at the cost of 18/25 mpg fuel economy and a relatively short overall driving range, meaning you’ll spend a bit more time stopping to refuel. With both engines, know that although the EPA uses regular gas in its tests, Lincoln manages 245- and 285-hp ratings with 93-octane fuel. Numbers aside, the 2019 MKC drives adequately, but the six-speed transmission still feels lazy—just like a 2015 MKC 2.3 we drove years ago. A few times during my week with the 2019 MKC 2.3, I was left wishing for quicker transmission responsiveness. As I traversed city streets and Southern California highways, I also began to question our Black Label model’s gorgeous extra-cost 20-inch wheels. Paired with our test-crossover’s Rhapsody Blue paint and complemented by the new and richly detailed grille, the 2019 MKC will hold its own at a high-end hotel’s valet station. But as soon as you drive across less-than-perfect road surfaces in any drive mode, the stiffer ride may make you question that style-first wheel choice. Inside, the cabin meets expectations for a compact luxury crossover that will mostly sell between $35,000 and $50,000. The transmission-shift buttons on the left side of the center console are unique in this segment, and even though the colorful instrument cluster screens will be familiar to anyone who’s driven a Ford lately, it’s still a cool touch. MKC Black Labels use upgraded materials well beyond most Fords, however, including an Alcantara headliner and floormats lined with the same material. That helps justify the higher price, but our crossover’s $55,730 as-tested price is too much for a Lincoln with a back seat that feels as cozy as this one does. At least the outboard headrests fold down when not in use to maximize rear visibility. As with other Black Label Lincolns, the MKC Black Label gets free detailing for the first four years of ownership, complimentary maintenance for four years/50,000 miles, and Lincoln will even take you and your significant other out to dinner. That’s thanks to the Culinary Collection, which connects owners with restaurants at which chefs offer a curated dining experience (the free dinner occurs the first time you use the service). It sounds lovely, but in the mid-$50,000 range I’d consider the next-size-up Nautilus crossover. Plus, you don’t need Black Label to feel special as a Lincoln owner. The automaker’s Pickup & Delivery service is a frill almost no other luxury brand matches in this price range. After calling a dealer or using an app to schedule service and a pickup, a brand representative will retrieve your car—as long as it’s within 20 miles of a dealer, or 50 miles for Black Label owners—and get it serviced while you drive a loaner car. Once your car is ready, it’s delivered back to you, ready to go. Neat. 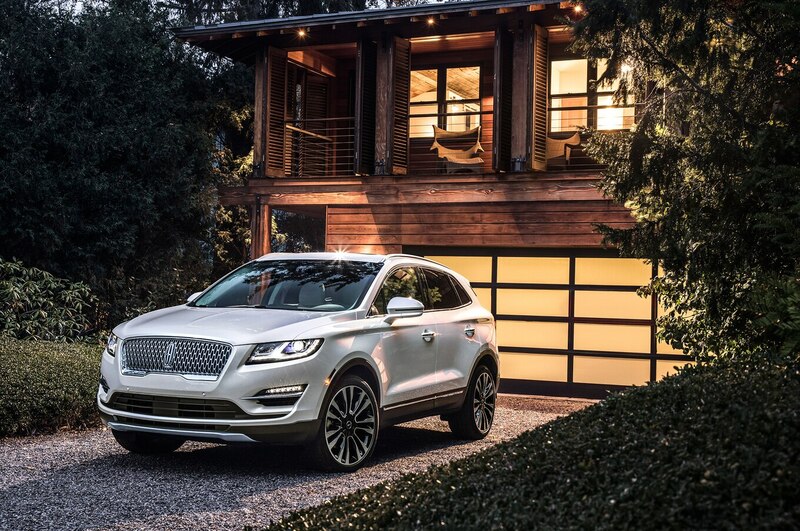 Interested in the Lincoln MKC? Try the similarly priced Volvo XC40, a boldly styled and well-rounded comparison-winner of a luxury crossover. Being more frugal with options—and avoiding the tempting 2.3-liter engine upgrade—takes the MKC to safer ground. Try a $41,550 Reserve model, which includes leather seats (heated and ventilated in front), a power tilt/telescoping steering column (also on the lower Select), a panoramic sunroof, and a blind-spot monitoring system. Lincoln now offers automatic emergency braking on the MKC, but it’s bundled with other tech that’s optional, not standard, on the Reserve trim. One feature in that package is adaptive cruise control, which won’t function in stop-and-go traffic, eliminating one of the best reasons to get that tech. Although every automaker needs to keep prices competitive, we’d like to see blind-spot monitoring standard on the base or Select model, with automatic emergency braking standard at least on Reserve, if not the lower Select model. The MKC hasn’t been fully safety tested by the IIHS, but the NHTSA gives it a four-star overall rating (out of a possible five stars). That’s acceptable but not ideal, and the same is true of brake pedal placement. I found it too upright and positioned too far forward—though your mileage may vary. But it likely won’t for the touchscreen infotainment system, which is easy to use but mounted too low on the center stack for optimum visibility. Hopefully, the next-gen model will improve all of these minor issues. Until then, the competent 2019 Lincoln MKC still doesn’t solidly distinguish itself above its many competitors, aside from Pickup & Delivery and solid rear styling. The post 2019 Lincoln MKC 2.3 First Drive: Driving Lincoln’s Entry-Level Crossover appeared first on Motor Trend.